Fourteen days. There are just fourteen days before The Heir starts kindergarten. I am pretty excited for this moment and I know The Heir just can’t wait to start school. With the start of kindergarten comes a whole host of things we need to get for The Heir. From notebooks to pencil crayons, felt markers to glue sticks, the list is a mile long! Though I’m not near done with that shopping list, at least The Heir’s feet have everything they need for the upcoming school year! That kindergarten list was mighty particular about what kind of shoes The Heir was going to need for school. In fact, he was going to need two pairs of shoes since one pair was going to remain at school all the time. Skechers to the rescue! Not only does Skechers have great styles that the kids love, but they also have shoes that kids can get on and off themselves (something I’m certain The Heir’s kindergarten teacher will appreciate). Here’s how we’re all getting ready for back to school with Skechers! Picture this. There are 25 kids in a kindergarten class. They all arrive that first day with their indoor shoes for school, but there’s one problem… Every child has arrived with lace up shoes, but only three of those kids know how to tie their own shoes. How long do you think it will take that nice kindergarten teacher to get the shoes tied on 22 excited and nervous five year olds? Too long! In an effort to not be that parent, I’ve opted for Skechers with a velcro closure for The Heir. For his indoor shoes, The Heir has Skechers Nitrate Ion Blast running shoes. These runners are perfect for kindergarten. I know they’ll be doing some gym time, so a runner will be the most versatile shoe for him to take from classroom activities to the gymnasium. These shoes are super lightweight, and have a stretch lace closure with a velcro strap. The Heir has been putting these on and taking them off all by himself at home, so I know he’ll be able to do it at school too. Inside, the Nitrate Ion Blast shoes have a gel infused memory foam cushioned comfort insole. In other words, they’re like walking on a squooshy cloud. Though these shoes are a medium width, I do find them more on the narrow side. This isn’t an issue for The Heir as he has pretty narrow feet anyway. As an added bonus, this style comes in full and half sizes. The Heir could wear a size 11, but they’d likely be outgrown in just a couple of months. I ordered an 11.5 for him and they fit great with room to grow! For his “outdoor” shoes, The Heir picked something a little more casual and cool. The Skechers Adapters Metro Way are the ones The Heir liked best. Though these are the shoes he’ll wear outside for recess, these are also the shoes he’ll be bringing home every day. For that reason, a shoe with a fairly versatile style is ideal. I’d call these a skate shoe, but that could just be my 90s showing. The Adapters Metro Way shoes aren’t quite as lightweight as the Nitrate Ion Blast runners, but I wouldn’t call them a heavy shoe by any stretch. The Adapters Metro Way are made with a suede upper with mesh accents around the heel. With a stretch lace closure and a velcro strap, The Heir has no trouble getting these shoes on and off all by himself. I love the bold colours that are on the sole of these shoes, and The Heir tells me these shoes are “awesome”. That’s a win! This style is available in full and half sizes, and they fit true to size. They are a medium width, and I’d say that’s spot on for the fit of these shoes. Although The Heir is the only one starting school this September, it’s a fresh start for Petit Prince and I too! Though I hate to admit it, over the last two years I haven’t had much opportunity to do scheduled activities with Petit Prince. I did way more with The Heir when he was under two. A lot of this has to do with not being able to bring a preschooler with me to parented activities with Petit Prince (there was no way The Heir would have sat on the bench on the side of the pool if I did swimming lessons with Petit Prince). Unfortunately, The Heir’s preschool schedule didn’t line up well for the sports and library classes I had hoped to do with Petit Prince. This fall will be different! The Heir’s kindergarten is FULL DAY and five days a week. I know, right? That means I have an entire week of time to fill with just Petit Prince and I! To make sure Petit Prince was ready, he needed a pair of running shoes! I ordered him the Skechers Skech-Trax. For starters, oh my goodness, toddler runners are adorable! These Skech-Trax are more than just cute shoes though, these are great for little feet. Skech-Trax have a suede and mesh upper, and a stretch lace and velcro strap closure. With an always on the go toddler, a shoe that I can get on his feet easily with minimal fuss is a must. With the stretch lace, these runners open right up making it easy to get that thick little toddler foot into the shoe. Petit Prince loves these shoes. He grabs them from the front door and brings them to me all the time. They must be pretty comfy! Skech-Trax are super lightweight with a flexible shock absorbing midsole and a cushioned comfort insole perfect for toddler feet. Skech-Trax are available in full sizes only (toddler sizes), and are a medium width that fit true to size. The kids aren’t the only ones having fun with new footwear for fall! I decided to branch out and get some shoes that are totally out of my normal style comfort zone. Because, why not? I’ve got kindergarten drop off and pick up, and all kinds of indoor and outdoor activities planned for Petit Prince and I. I wanted shoes that were comfortable, practical, but also popped in a way my other shoes just don’t. Skechers Moda Nebulae in charcoal were my pick. Yes, there are stars on my shoes. Yes, they’re silver metallic. Yes, they’re awesome. The Moda Nebulae shoes are a casual lace up sneaker. They have a soft suede upper, metallic star print, and a memory foam cushioned comfort insole. These shoes are perfect with jeans or leggings (aka my mom uniform), so I am going to be getting a ton of wear out of these. I’m so glad I branched out into a style I wouldn’t normally have gone for. There’s nothing like smiling every time you see shiny stars on your feet. If you’re looking for school shoes for your little ones, or maybe you’re looking for a new pair for yourself, Skechers has a shoe that’s sure to be just what you’re after! Check out the full line up of Skechers available on their website, and if you’re in the US, you can shop direct from Skechers. In Canada, you can shop Skechers on Amazon via my affiliate link. Shop Skechers in Canada here. How would you like the chance to WIN a pair of Skechers shoes? One lucky Canadian reader has the chance to win one pair of Skechers shoes of their choice! Just scroll down to the giveaway and get your entries in for a chance to win. This giveaway is open to Canadian residents only, 18+, and closes on September 6th, 2017. Sponsor is responsible for prize fulfillment. Don’t forget to follow the Glue Sticks & Crayons Giveaway Hop and enter the other awesome giveaways linked up below! Disclosure: The Hopping Bloggers and all participating blogs are not held responsible for sponsors who fail to fulfill their prize obligations. Facebook, Twitter, Pinterest and any other social media are not affiliated with this giveaway. Open to Canadian residents, 18+ only. No purchase necessary. Void where prohibited by law. Prize fulfillment is the responsibility of the sponsor(s). For questions or to see your product featured on The Monarch Mommy blog contact Stefanie at http://themonarchmommy.com/work-with-me/. MODERN JOGGER – BOLTON for my son ! I think I’ll go for the Women’s Hi-Lite – No Dice in black. If I were lucky enough to win, I would choose the multi flex in pink for me… My feet expanded during pregnancy and I could use runners that don’t hurt! I LOVE the stylish comfort & durability of Skechers shoes & boots. If I’m the lucky winner, would choose a pair of the Women YOU – Zen shoes. If I win I’d get the Women’s Flex Appeal 2.0 in black and light blue. I would like to have the Women’s YOU shoes. I love the Women’s Flex Appeal 2.0 – Simplistic. I would probably choose the Women’s YOU – Inspire because they look comfy for walking around campus! I love the FLEX APPEAL 2.0 in black/light blue! I would get a pair of Women’s Bobs Plush – Scratch Party for my daughter. She loves all things cats. I would love to gift this to my daughter to shop for my grandson – possibly Boys’ Nitrate – Ion Blast. So cute! I like the Flex Appeal 2.0 – Insights. I’d like to try Sketchers GOwalk 4 – All Day Comfort in blue! I`d choose the YOU – INSPIRE ,,love them! I like the Women’s Flex Appeal 2.0 in black. I would get the woman’s flex appeal in grey blue. I would choose the men’s stretch flex sneakers. The Skecher Go walk 4 would my choice perhaps. Love the comfort. I would probably choose the Women’s Flex Appeal 2.0 shoes. CLEO – BEWITCH in Black so that I can wear to work! I really like the Dreamstep in taupe. Skechers GOwalk 4 – All Day Comfort in Navy and white. I’d pick a pair of Men’s Flex 2.0- The Happs. I’d pick the Skechers GOwalk 4 – Kindle. If I win I’d choose the Dream n’ Dash, such a cute shoe that my daughter would love. I like the Women’s D’Lites Ultra in Navy!! My son would love the Boys S Lights Flashpad Skirmash. Thanks for the giveaway! https://www.skechers.com/en-us/style/10915/s-lights-litebeams-feelin-it/npmt My granddaughter would love these. I would get the boys S LIGHTS: ENERGY LIGHTS for my son. I would choose the Men’s D’Lites in black. Thanks for the giveaway. side-street, white (choice for today – will change daily, no doubt). I would get the boys AIR ADVANTAGE – POWER MERGE shoes for my son if i won! I would choose SKECH-AIR 3.0 – DOWNPLAY for my grandson. I like the flex appeal 2.0 bold move in black. 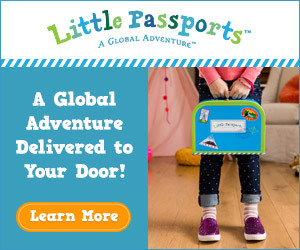 They have such cute shoes–I wish this was open to the U.S. too! I would choose the Women’s Flex Appeal 2.0! Oops…..yet again, I don’t see the Canada only line. Sorry about that. If I was the lucky winner I would pick the Women’s Hi-Lite – No Dice in black. I would choose the Skechers GOwalk 4 – Serenity. I like the SKECHERS GOVULC 2 – GRANDEUR but I would let my son choose! Probably these? https://www.skechers.com/en-us/style/11930/d-lites-biggest-fan/nvw for my girlfriend, her old ones are falling apart! A cool pair I’d choose is the Boys S LIGHTS: ENERGY LIGHTS – TARVOS! Love how Skechers is making all these innovative light-up styles! I would love the SKECHERS GOWALK 4 – GIFTED in the Navy color! I really like the Women’s Bobs High Notes – Bell Kick. They’re so stylish. I would choose the Game Kicks: Swift Kicks – Emoti Match for my daughter. I’d pick the girls Shoutouts – Zipsters in black/rose gold for my kiddo! I’d like D’Lites-Fame N Fortune..great shoes. My daughter loves happy faces and has extremely small feet. I think that she would love either Expressionista (Twinkle toes) or Burst Emoti /cute for girls. I would love to get FLEX APPEAL 2.0 – STARRY NIGHT for me! I would get the Bob’s Keepsakes Ice Storm shoes in Grey. I’ve wanted these for a couple years to wear as slippers at home. They look so comfy and cozy! I would pick a pair of Boys’ hyperjolt for my son. I always like Skechers style! These shoes look like they’d be the perfect choice for my children! Skechers have some great styles and they are some of my son’s favourites – he’s an adult. I love this brand. I wore shoes from them and now for my kids.